USD/CHF price action seems to have calmed down a bit after the SNB shocker the other week, as the pair is consolidating inside an ascending triangle chart pattern on its 1-hour forex chart. It is currently testing the top of the triangle around the .8800 major psychological level, which might hold as resistance since stochastic is indicating a pickup in selling pressure. A move lower could lead to a test of the triangle support near the .8600 major psychological level and a potential bounce off that area. Just keep in mind that a breakout in either direction might last 400 pips, which is the same height as the triangle pattern. Reversal alert! 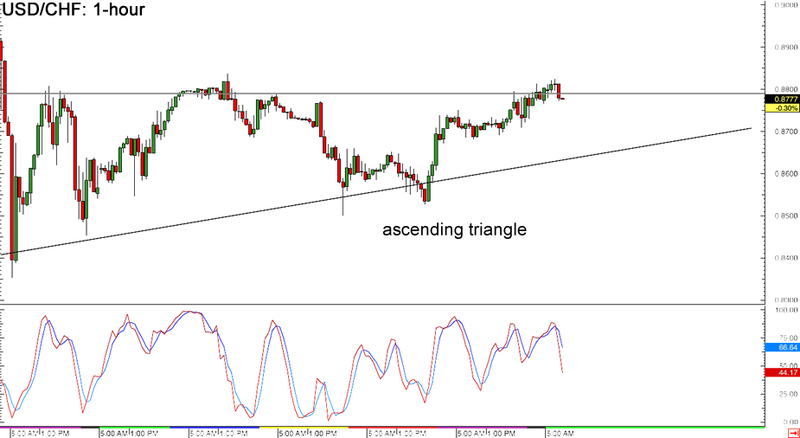 A double top pattern can be seen on USD/JPY’s 1-hour forex chart, suggesting that the short-term uptrend might be over. Price is testing the neckline near the 117.50 minor psychological support and may be due for a downside break. If that happens, USD/JPY could fall by as much as 125 pips, which is roughly the same size as the chart pattern. 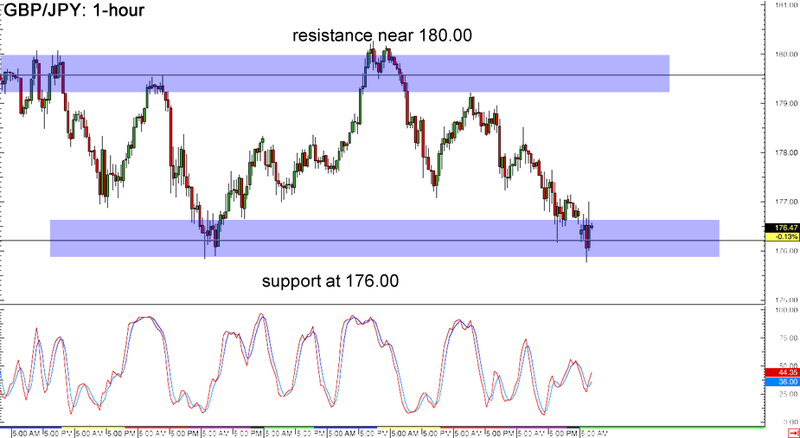 Take note that stochastic is making its way out of the oversold zone, which means that buyers might be in control of price action for now and may push price back up to its previous highs around 118.75. Now here’s a simple rectangle forex chart pattern on GBP/JPY that you might be interested in. As you can see on its 1-hour forex chart above, price seems to be finding support at the 176.00 handle while stochastic is indicating that pound bulls are taking control. A bounce could mean a move back to the top of the range near the 180.00 major psychological resistance or at least until the middle at 178.00. Of course a downside break is also possible, which could confirm that further losses are in the cards for this pair. Just be careful of potential fakeouts since this one can get pretty volatile! Slow Stochastic: 14,3,3 100 SMA: Blue line 200 SMA: Red line To get the complete picture and avoid getting blindsided by economic data, you also have to do your fundamental analysis. 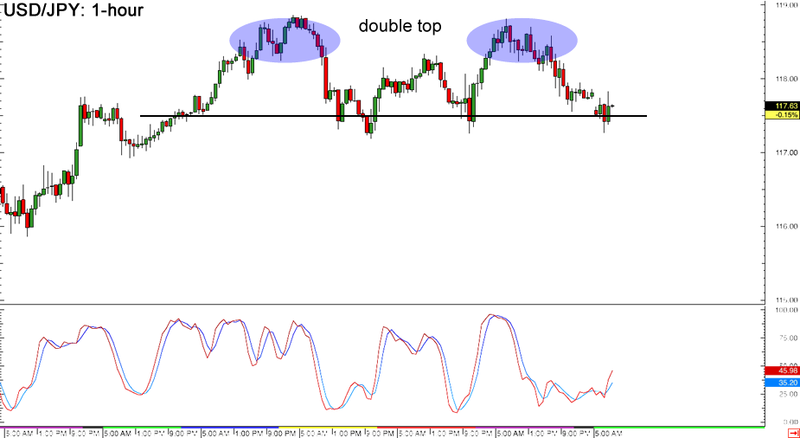 Lucky for us, Pip Diddy fills us in on what we need to know about fundamentals with his Daily Forex Fundamentals.